What is Total Age Repair? 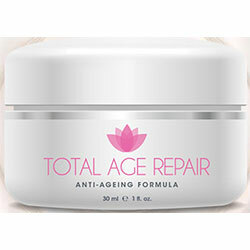 Total Age Repair Anti-Aging cream is an age defying cream that is exclusively available online that requires you to sign up for a limited time free trial offer where you pay only for a minimal fee to cover product handling and shipping costs, that is, initially, until the trial period lapses.There is no product price mentioned on its official site. 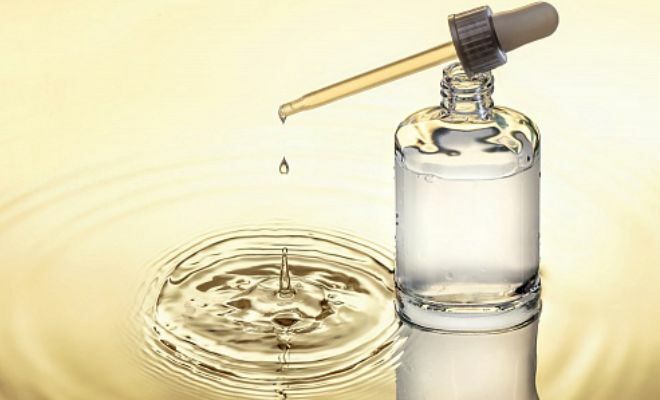 There is no information available about this product’s manufacturer, making it impossible to establish its credibility, accountability for results arising from product use, and successful track record in anti-aging skin care. Information available about this product is shared by third party sources without any way of validation in the absence of an official product website. Total Age Repair — Does It Really Work? Significantly increase the volume of moisture available for your skin to become rejuvenated sooner. Enhance cell-to-cell coordination which, in turn, cuts down on the time it takes for your skin to recover from damage and to become renewed. Provide your skin with enhanced protection to better resist cell damaging free radicals while simultaneously shielding it from environmental causes of skin damage and aging. Smoothen the appearance of fine lines and wrinkles as it helps prevent premature skin aging. What are the Ingredients in Total Age Repair? Peptides: Hasten cellular level coordination to improve the speed of skin rejuvenation and renewal. Antioxidants: Improve your skin’s protection from damage caused by free radicals and the subsequent aging effects that follow, while simultaneously improving your skin’s resilience from other factors that degrade the skin which includes stress and pollution. Glycerin: Acts as a skin conditioning agent and emollient that helps restore your skin’s moisture content considerably while also delivering a soothing relief from irritation caused by chronic dryness. Cucumber Extract: Significantly improves your skin’s hydration. Vitamin C: It jump starts your skin down to the cellular level, causing your cells to become rejuvenated and better capable of efficiently delivering mechanisms necessary to restore your skin’s youthful health and appearance. However it may cause redness or warm feeling on skin. Total Age Repair is recommended for day time or night time application or, both. Apply the cream generously over your face, neck and chest following a thorough cleansing and toning. Total Age Repair is formulated with a handful of the most basic ingredients that you should be looking for in an anti-aging product. This product is available via a limited time free trial offer that requires you to invest a minimal cost of resources to try this product and find out how it performs on your skin. This product does not appear to contain retinol which can be highly sensitizing to any skin type, and which makes the skin more prone to sun damage. However it contains Vitamin C which cause redness or warm feeling on skin. The full details of this product’s formula is not openly disclosed, whereas third party websites have inconsistently shared information about this product’s key ingredients. This products is not appropriate for use on younger skin. Total Age Repair reviews are severely limited, providing a very limited picture of how this product performs based on actual user experiences and perceptions. This product contains Vitamin C which cause redness or warm feeling on skin. Does Total Age Repair Have Any Side Effects? In the absence of a full list of ingredients and in the absence of independent user reviews, expect side effects to be likely Total Age Repair. Total Age Repair contains a handful of the basic anti-aging ingredients that mature skin types need to become renewed and restored. However, there are many others left behind which many other product would likely include. This product do not offer money back guarantee.Make sure to compare before you order.